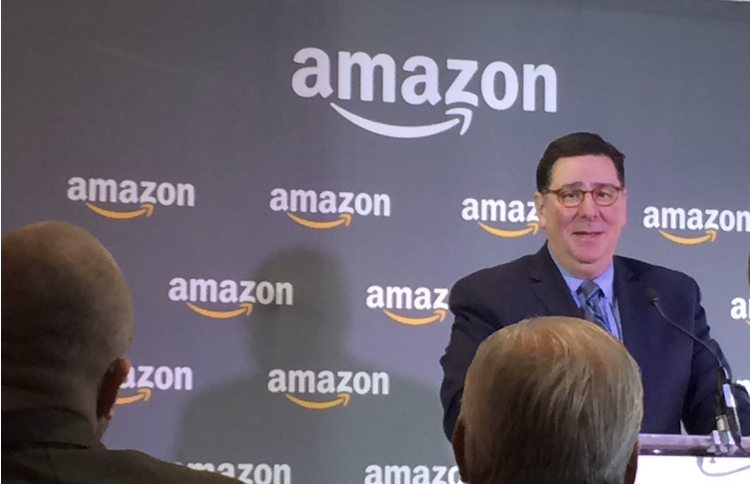 Mayor Bill Peduto speaking at Amazon's South Side offices earlier this year on Feb. 22. Photo by David Radin. 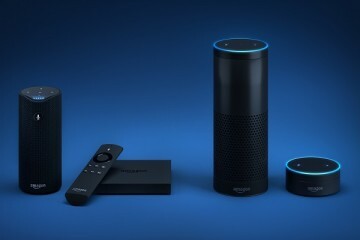 One of the great publicity stunts of the 21st century came to a close today, as media reports confirm that the tech giant Amazon will split its second headquarters between two corporate campuses in Long Island City, New York, and Crystal City, an affluent neighborhood in Arlington, Virginia just across the Potomac from Washington, D.C. While the decision to split the headquarters took some by surprise, experts and odds-makers have been predicting that Amazon would choose either the New York or D.C. area for most of 2018. Still, the reports are bound to be a disappointment for Pittsburgh and the 19 other cities that were shortlisted for HQ2. As the process winds down, we here at NEXTpittsburgh reached out to some local experts, along with urban studies expert Richard Florida, to discuss both the bidding process and where Pittsburgh goes from here. Back when Amazon first announced their national hunt in late 2017, the company claimed they would choose a single location that would be equal to their Seattle office, bringing $5 billion in investment and up to 50,000 high-paying jobs over the next several decades. Naturally, Pittsburgh and dozens of other cities jumped at the chance to bid, but from the beginning, there was opposition and skepticism. Audrey Russo, president and CEO of the Pittsburgh Technology Council, had been slightly more optimistic. She had put the city’s chances at around “one in five.” mainly due to the city’s enhanced reputation as a hub for advanced research and technologies. However, she says the region’s aging infrastructure and lack of critical flight routes to and from Pittsburgh International Airport put the city at a distinct disadvantage. Beyond concerns at how a massive influx of population and capital would have affected the city’s cost of living and general quality of life, many Pittsburgh residents raised alarm over the total secrecy surrounding the process. Citing the need to preserve a competitive advantage, Pittsburgh joined several other cities in refusing to release the details of their bids. Though two different judges have ordered the bid to be released, county and city officials have appealed the decision, and the bid remains a mystery. With Amazon’s official announcement, that should change soon. In addition to being wary of providing secretive tax breaks and financial incentives to one of the wealthiest corporate entities in human history, many balked at the idea of local officials freely giving away untold quantities of sensitive municipal information to a company that largely makes its money sucking up consumer information. Russo observed that the process at a city level resembled the way most individuals engage with large tech platforms on a personal level: heedlessly giving away our private data with little thought toward how it will be monetized. Beyond that, Florida says local leaders are mistaken to think of themselves as competing for the favor of big tech in the first place. In spring of this year, Florida posted a petition online calling for all the cities bidding for HQ2 to sign a “non-aggression pact” promising they would not undercut one another with exorbitant tax breaks. Speaking to NEXTpittsburgh, Florida went even further, and endorsed the idea of America’s city and regional leaders banding together and collectively bargaining in the face of the tech giants. Florida says such partnerships are even more critical now, as the federal government is increasingly choked by dysfunction. That asterisk led below to a statement that a media advisory will be forthcoming with details on a news conference regarding the bid release. How will Pittsburghers react once they see the bid, and is this where the story ends? Both Briem and Florida point out that Pittsburgh may still be in line for a smaller Amazon office devoted to machine learning or artificial intelligence, areas that Russo also described as being the city’s main competitive advantage in an increasingly globalized world. While he did not discuss the specific contents of the bid, County Executive Rich Fitzgerald spoke yesterday with NEXTpittsburgh more generally about the county’s larger policy toward financial incentives and negotiating with large tech companies. He went on to say that with tech companies, in particular, most of the assistance they requested usually took the form of workforce development and help with transport, rather than just financial incentives. Furthermore, Fitzgerald said yesterday that the county does not pursue deals that involve bonds or other public funds being steered toward the companies in question. 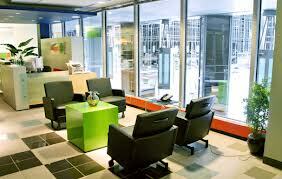 Rather, they negotiate with certain tax breaks on the wealth that the new business would create. Like both Briem and Florida, Fitzgerald told NEXT that he believed Amazon’s final decision would ultimately have very little to do with a particular city’s incentive package. Rather, he said yesterday, it would likely turn on the workforce and the state of the local tech industry. “That’s more impactful than anything the Mayor, the state or I can provide,” he says. When asked about the possibility of city and regional leaders cooperating rather than competing with their counterparts around the nation, Fitzgerald questioned how workable such an approach could actually be.